eady for a bigger, better, bitterer bar? Say hello to Bruto Americano! 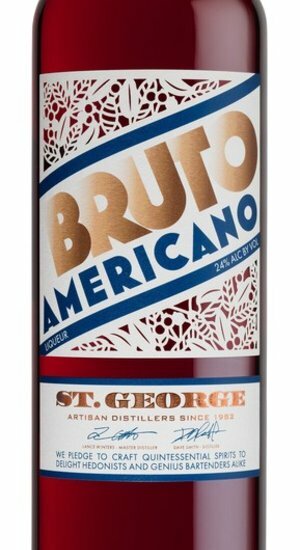 With a bracing dose of bitterness, a bright pop of citrus, and intriguing sylvan notes inspired by distiller Lance Winters’ formative experiences growing up in California in the 1970s, Bruto is a bitter aperitivo liqueur that makes us as proud as it does thirsty. Bruto is made from a variety of herbs, roots, and other botanicals. Though the exact number of ingredients and formulation are proprietary, we will say that the bitterness comes primarily from gentian root; the citrus notes mostly from California-grown Seville orange; and the woodsy notes from balsam fir and Cascara sagrada (bark from the California buckthorn).